12 Quail Farm – 12 Quail Farm is a family business which produces and sells high-quality quail eggs and whole quail. 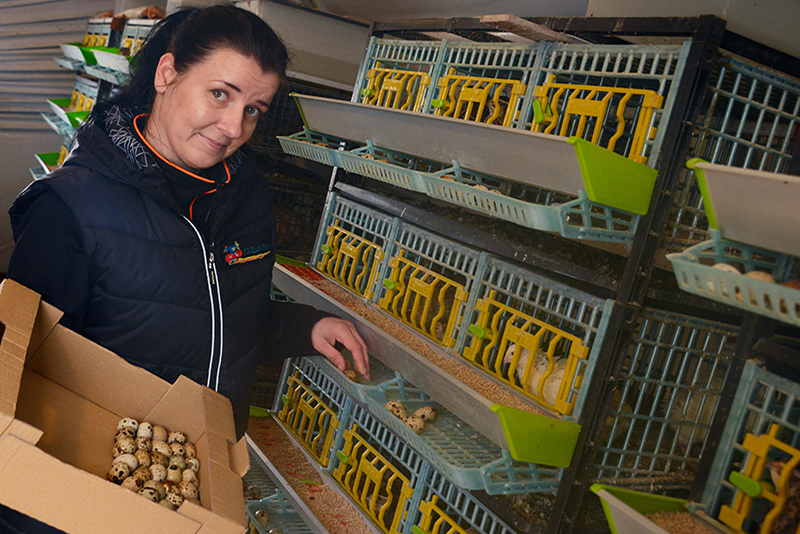 After a long career life in Public Relations sector, Tiina found herself struggling with the frozen shoulder illness which made even simple everyday tasks almost impossible for her to complete. 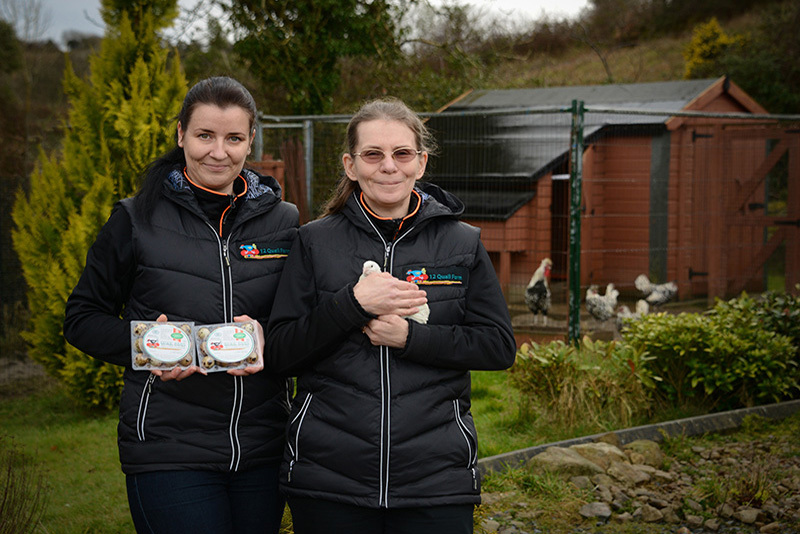 As a result she took 12 quails for pets to keep her company and she started consuming their eggs. The birds gave her energy to go on. A combination of beautiful landscape, healthy lifestyle and the opportunity to self-sustain oneself gave Tiina the idea to create 12 Quail Farm with the intent to provide outstanding quality quail eggs also to others. 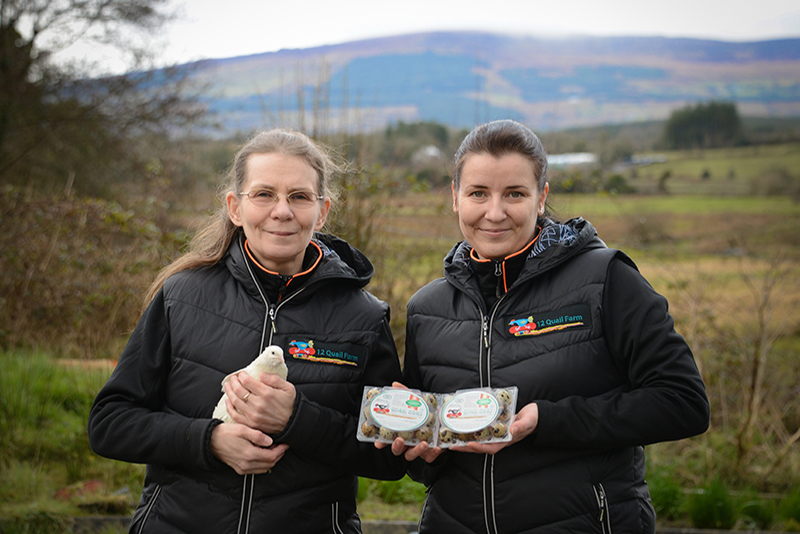 Based in Foxfield Co. Leitrim, 12 Quail Farm started producing high-quality quail eggs for selling in July 2013 with just 12 quails. 2014 Tiina’s daughter Liisa decided to leave her intense IT career behind and give a chance to rural life and working together with her mom on the farm. 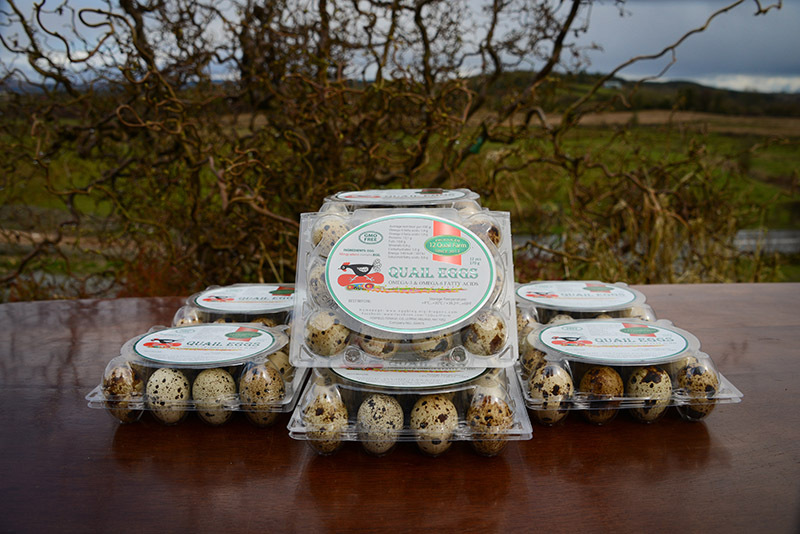 Today the farm has around 700 quails and 4 quail breeds, supplying retail outlets and restaurants in twelve counties in the Republic of Ireland and in the Northern Ireland with quail eggs and whole quails. Tiina also keeps some free range Silver Spangled Appenzeller Spitzhauben chickens as pets around, creates textile designs and experiments with organic gardening to enrich senses with the scent of herbs, colourful blooms and foliage and Liisa fills her free time with yoga, creating websites, researching aquaponics systems and collecting interesting quail egg ideas and recipes which they share here on the farm recipe page. More about the farm and us under who we are.